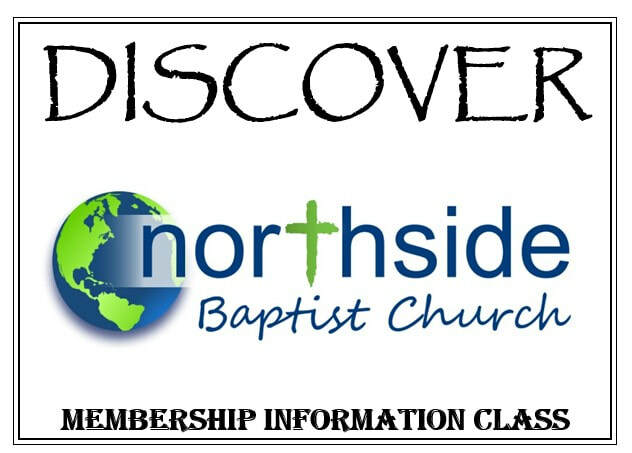 This class is designed to provide information regarding the church's beliefs, structure, and expectations of it's members, to anyone who is considering becoming a member, or just wants to learn more about Northside and the way we operate. Taking the class is not a commitment to join the church, but does cover the ways in which one may join the church. We offer the class on Sunday afternoons following the morning service to provide an informal setting for discussion and questions. Lunch is provided for all who register for the class. Lunch is Provided - Please List any Food Allergies in the Special Instructions area.